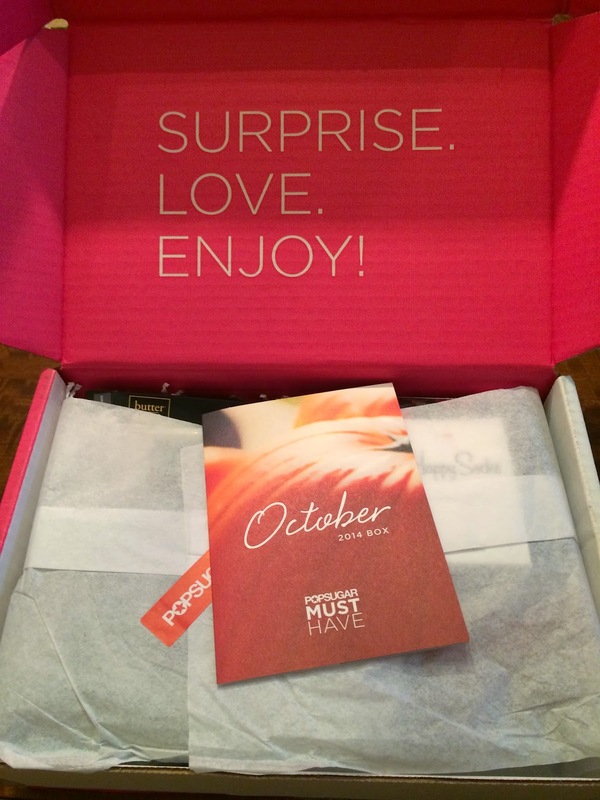 I received my Popsugar Must Have box for October today. I had peeked at spoilers and was not too excited about this box, but wanted to see everything in person. Maybe it's because I've been subscribing for over a year now, but this box is not as exciting as it used to be. I'm really feeling very meh about it. 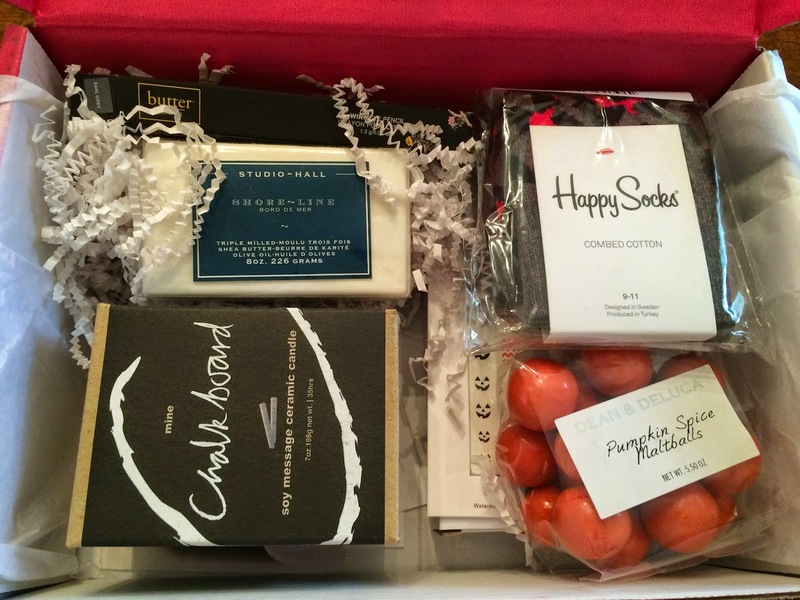 This October Popsugar Must Have box was inspired by tricks & treats, cat eyes, moonlight, getting cozy, and pumpkin spice. It definitely had a fall Halloween theme. And as always Popsugar included an information card with everything included in the box. Here is the first look when I opened the box (and removed some bubble wrap, so you could see the contents). The first item I pulled out of the box was Happy Socks Animal Socks. 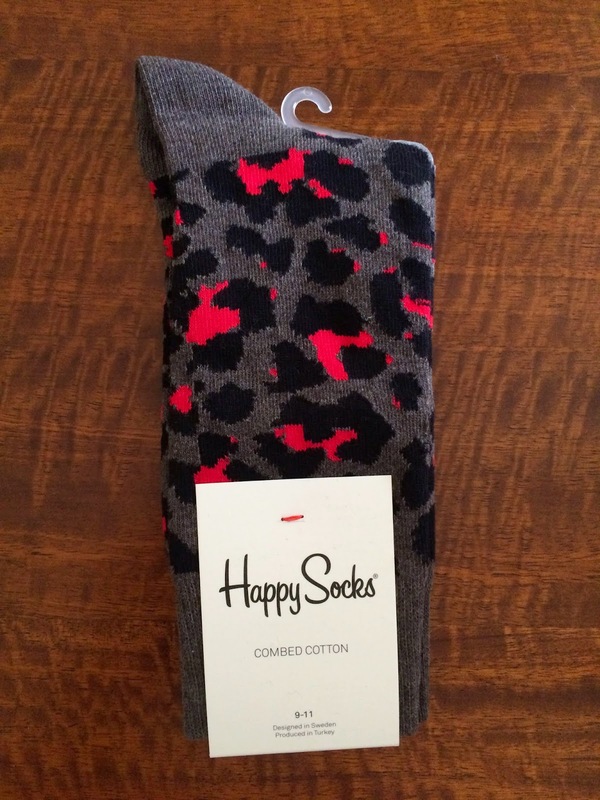 These are cute leopard print socks. They're gray with black and bright pink. I love fun socks, but I'm not a huge fan of animal prints. I'll still wear these though! 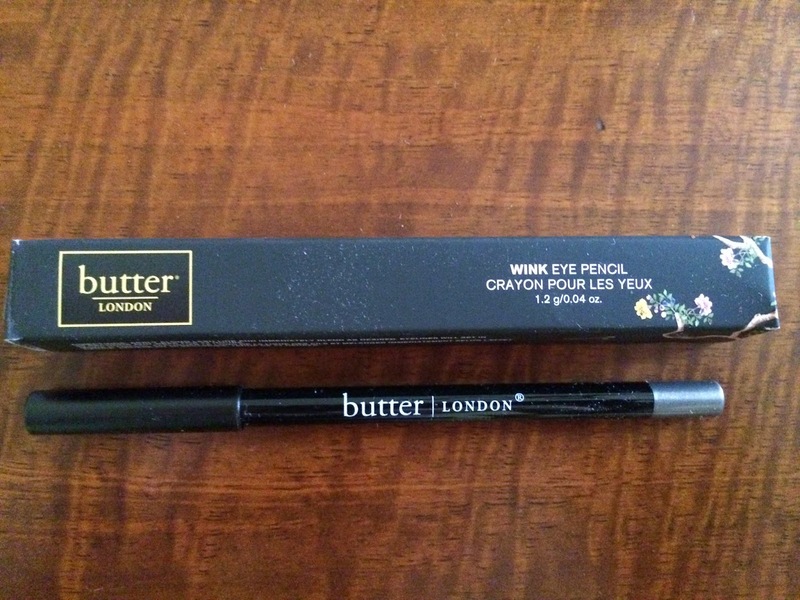 The next item was Butter London Wink Eye Pencil in gray. I really don't wear eye liner, so I will probably gift this to someone that does. The packaging is really cute! 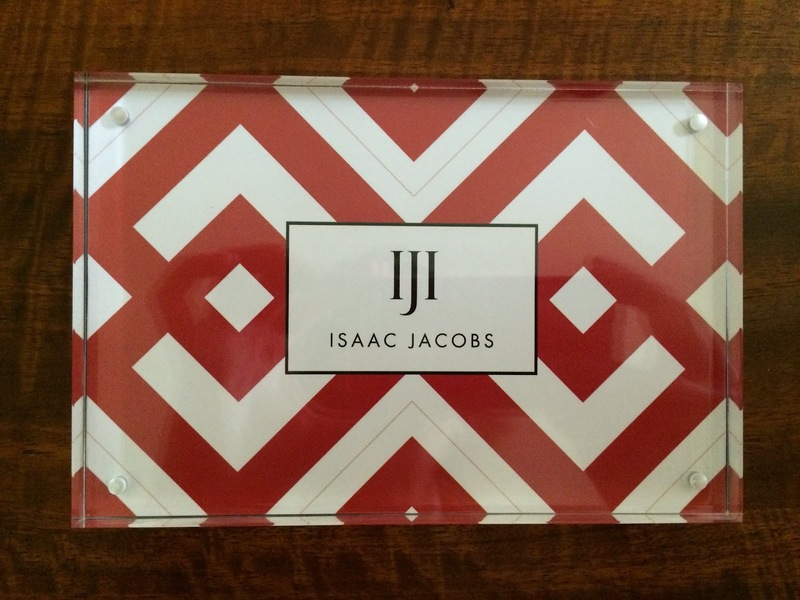 I also received an Isaac Jacobs International Acrylic Frame. This seems like a nice frame, but I think I would have preferred something with a bit more color and pattern that I could have hung on the wall. I'm not sure if I'll keep this for myself or gift it. It says the suggested retail price is $36, but I feel like you can find these types of frames at a much lower price point, so I'm not sure I see the value in it. 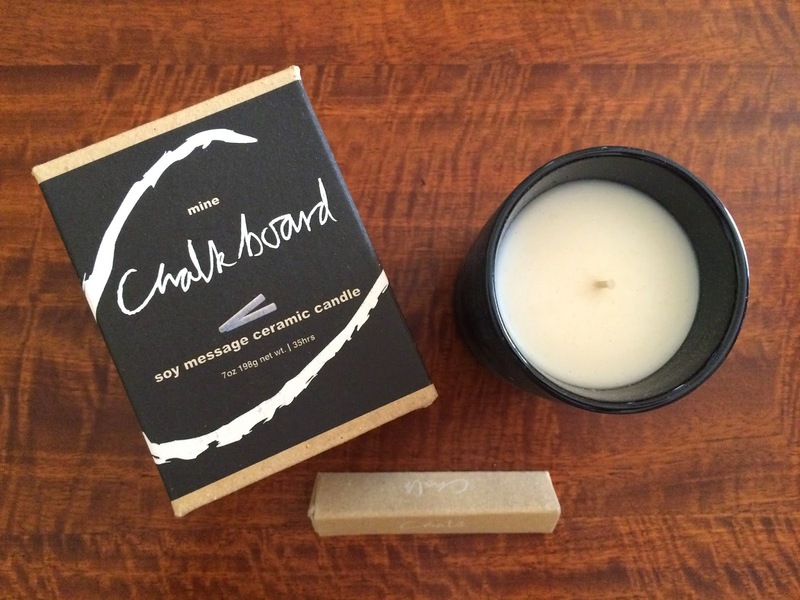 I think one of my favorite things included in this box was the Mine Design Chalkboard Candle. I really like the idea of being able to write on the holder, but realistically I will not make time to change it much. And it's not really something I can let my 2 year old daughter draw on, so I'm not sure I'll use it for much more than a candle in actuality. Cute though and smells great! I suppose it'd be a great gift if you could draw or write a message for the recipient, but I think it'd probably rub off in the box. 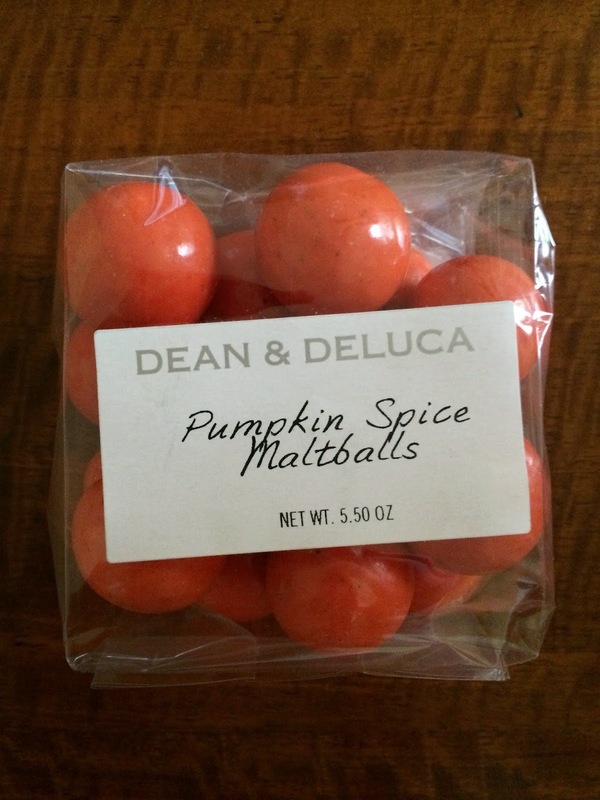 The next item was Dean & DeLuca Pumpkin Spice Malt Balls. I love anything pumpkin flavored, so I'm very excited to try these. And they're dipped in dark chocolate. Yum!!! I just wish they included a slightly larger package. These seem very small. And I'm sure I'm going to want more when I finish them! 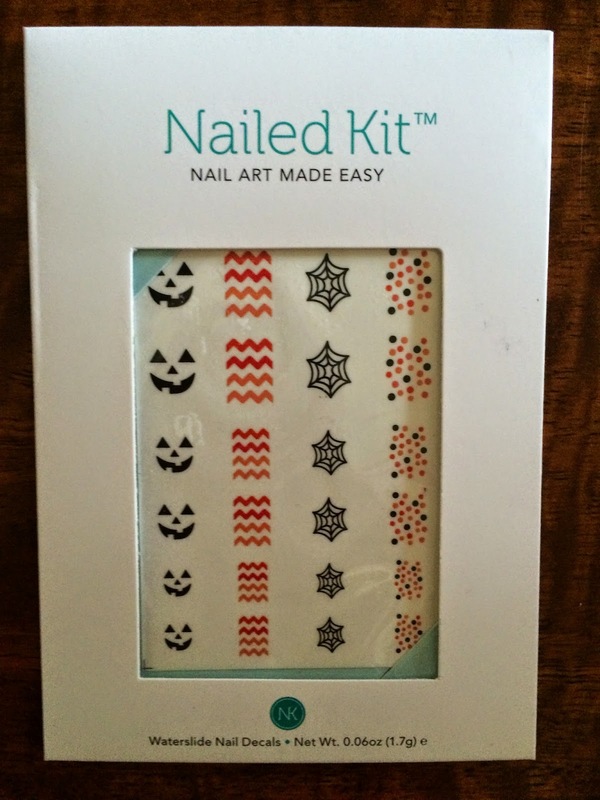 The Nailed Kit Halloween Decals seem slightly juvenile for a Popsugar Must Have box, but I'll probably use them, because they do look fun and easy to apply. I might put some on my daughter too, if they're small enough. These were designed exclusively for Popsugar! Nice touch for Halloween, but not something I'd expect in this box. The special extra included in the box, was probably my favorite item. 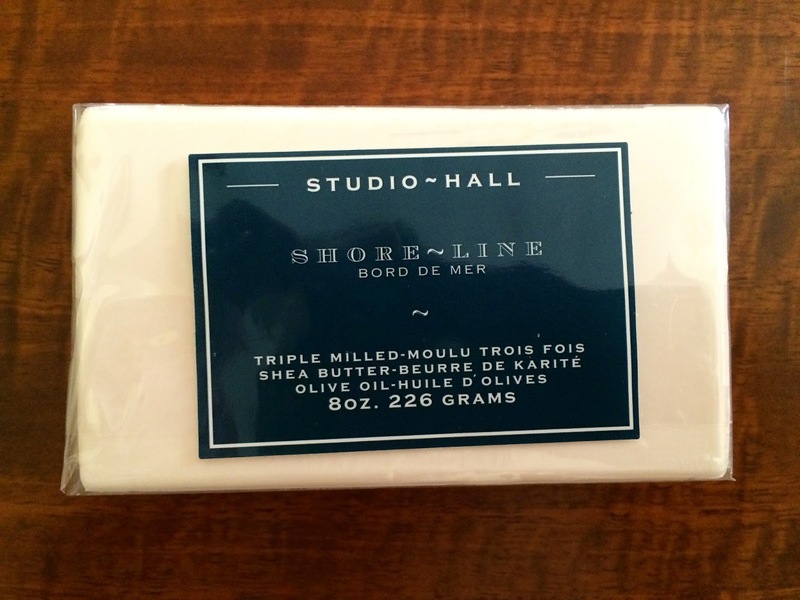 It was Studio Hall Shoreline Shea Butter/Olive Oil Bar Soap. This smells great and for some reason I love bar soap! This is the only item in the box I'm really excited to try (besides the Pumpkin Spice Malt Balls). Popsugar Must Have also included a coupon for $40 off The Blue Jean Bar Blue Jean Box, but I won't be using mine, because I can't afford it right now. If anyone is interested in trying The Blue Jean Bar, let me know and I'll send you the coupon code. 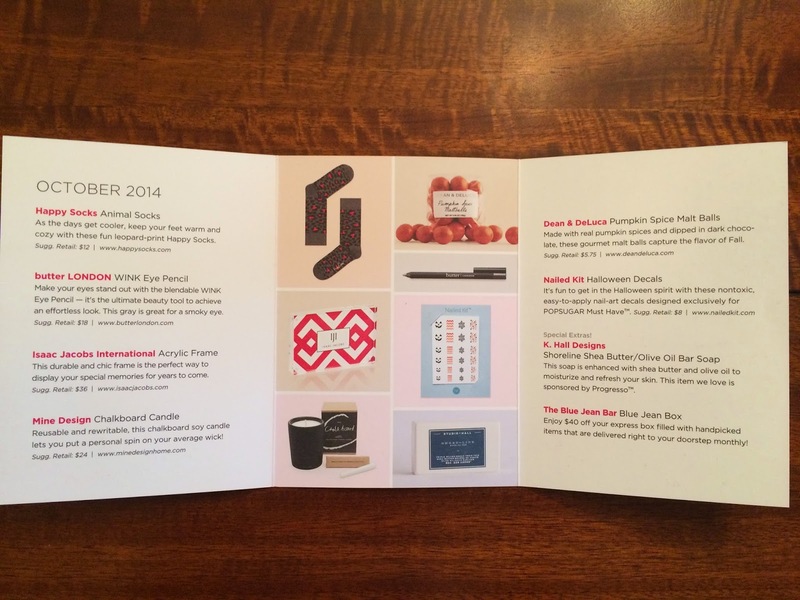 This month I was kind of disappointed in the Popsugar Must Have box. I even let it sit on my table most of the day without opening it immediately, because I knew there was nothing I really needed inside it and nothing I couldn't wait to see. I feel like this month I could gift everything away and not miss any of it. I'm going to really start thinking about whether I continue to subscribe or decide to try a different subscription.